At East Coast AC, we believe in helping young people from our area get into athletics. In 2013 the Club became the first athletic club in the Larne area to provide coaching to junior athletes. To this day, we remain at the forefront of junior athletics and our junior section is proving to be one of the most successful in the province. We are also the only athletics club in the area to be Clubmark accredited, therefore ensuring that we provide high quality coaching in a safe environment. We are a friendly, family-orientated club, but also have many high achievers and serious athletes amongst our ranks. We cater for everyone from Beginners through to Internationally ranked athletes. We are a growing club and have achieved local, regional and national success this year. We have the opportunity for competition for all, throughout the year, in all disciplines: Track & Field, Road Running, Cross Country, Fell Running, Mountain Running, Triathlon and Duathlon. All our young athletes are encouraged, welcomed and supported at ECAC whatever their ability. The club offers top quality coaching and training for young athletes (ages 4 - 16). We train at various venues within the Larne area depending on the time of year and individual focus. We have a minimum age of 4 years for joining. 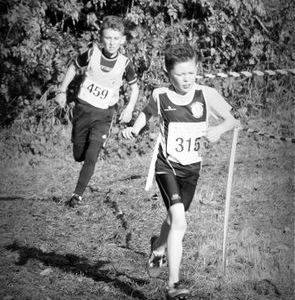 ECAC also supports young athletes in many outside competitions at local, county, regional and national levels. The club is very proud to have assisted in the development of many that have gone on to win prestigious athletic events. The younger athletes within the junior section are referred to as the 'East Coast Cheetahs' and their enthusiasm for the sport is infectious. We believe that sport should be fun and open to all members of the community. ECAC have a number of qualified coaches who support a range of sessions available in all disciplines. Our coaching team includes current and past international athletes, world championship runners, and experience across all levels of athletics. 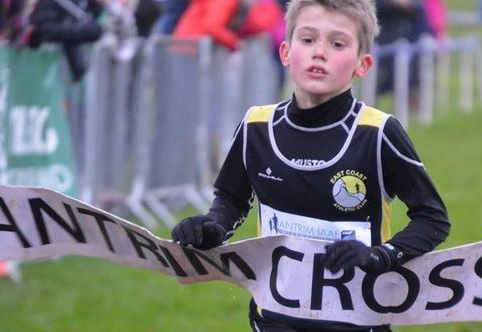 The club colours are well-known at competitions, and we often get comments from other clubs or parents on the exemplary sportsmanship of our young athletes. This is emphasised at all levels, and we are very proud of this reputation. For more information on how to get involved as a young athlete or as a parent looking to provide support to your child, please contact the club's Lead Junior Coach Mark McManus or email the club at eastcoastac@gmail.com for more details. Due to the high levels of interest in the junior section, we usually have a waiting list for memberships (juniors only); if you would like to join please download, complete and return an expression of interest form (see below).